Ostras Pedrin and Uva Pirata are the first two wines of the new winemaking project by Vicente Gandia. At the headquarter’s of the Valencia Regulatory Council of the Appellation of Origin has taken place the presentation of the new oenological venture of Vicente Gandia, Peculiar Wines. 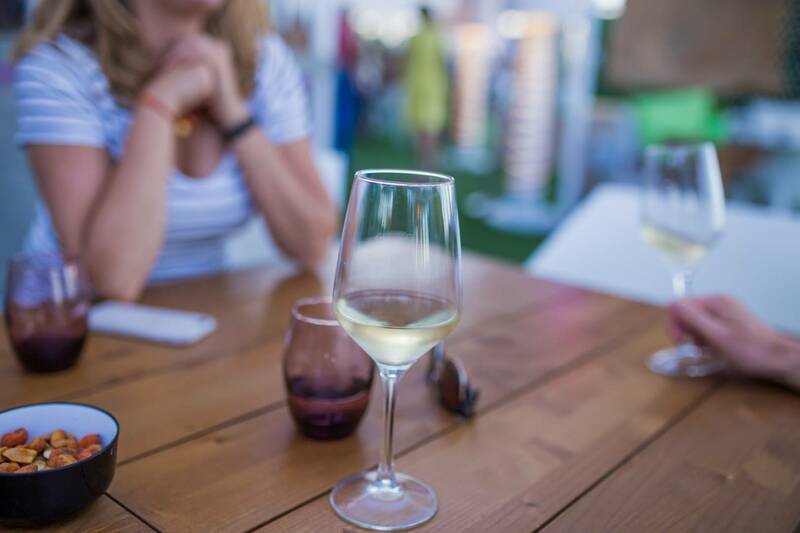 Each wine that makes up this range is mentored by a winemaker of the winery who have been commissioned to carry out that project he/she had always dreamed of performing. Oenological creativity at its finest that offers micro-elaborations that recovers areas and peculiar varieties. 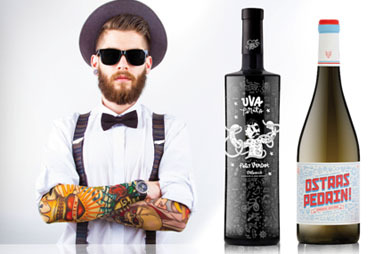 A wine experience with a story behind each wine and has envolved with a packaging design that leaves no one indifferent.. The two first Peculiar Wines are the ones that have been presented in Valencia: Ostras Pedrin by Luis Garcia Severino and Uva Pirata made by Fernando Freire. Both wines are under the Appellation of Origin Valencia. Ostras Pedrín eis the personal adventure of our winemaker Luis Garcia Severino who has rediscovered the Alto Turia, a 1,100 m high region where he has found a treasure in the variety Verdosilla. A signature white wine that shows a bright straw yellow color. The nose displays aroma of pear, melon and syrup. The palate is friendly, sweet, elegant, lively, fruity and with a long finish. A perfect accompaniment to shellfish, fish, white meat, poultry, rice and cheese. The label has been designed by the Pixelarte group and is inspired by comics of the ’50s. PFor the next wine creation, our winemaker Fernando Freire has deployed his most pirate side, sailing the wine seas to “hijack” the French Petit Verdot grape which has given rise to Uva Pirata. A signature red wine with cherry red color and violet tones. The palate is fruity, elegant, spicy, mineral, full-bodied, balanced with a long finish. The nose gives off an aroma of red fruits, berries, caramel, vanilla and mocha. An ideal companion to a good steak, cured cheese (such as Stilton) or game meat. The Uva Pirata artwork has been made by the Valencian artist Coté Escrivà inspired by an urban, scoundrel and pirate environment. Peculiar Wines will expand its range in the future with more wines developed by the rest of the winemaking team of Vicente Gandia.